Overnight oats are my go-to for at least a few mornings a week. I like them because they travel well, I don’t mind eating them cold and they only take a minute to prepare the night before. Plus I can throw in whatever I have lying around so I never get bored! You can make your overnight oats in anything you want by my go-to is mason jars. Glass food storage containers are also a good choice or just use a bowl and cover it in the fridge overnight. I like mason jars or glass containers if I’m taking them to-go in the morning. You can also get these super cute, reusable silicone sleeves for mason jars for extra durability and to use like a coffee jacket if you want to take something hot in your jar. To make my overnight oats, I measure and add my dry ingredients to a small jar then top it off with unsweetened almond milk. I find that’s usually just the right amount of milk to reach the consistency I like. I like my overnight oats really thick so I use about 1/2-3/4 cup of almond milk depending on what else I added. You can up to 1 or even 1.5 cups of milk if you like more of a porridge consistency. I also like adding pure vanilla extract and a few stevia drops for a sweetener. Pure maple syrup is also a good choice for sweetening. I often add 1-2 tablespoons of chia seeds too for a bit of extra thickening and added healthy fats and protein. Here are some of my favourite flavour ideas! This variety is a littler higher in fat but I love the texture that the coconut adds and hemp seeds are a good source of omega-3 fatty acids, minerals and antioxidants. The raisins add a nice sweetness without having to add additional sweetener. 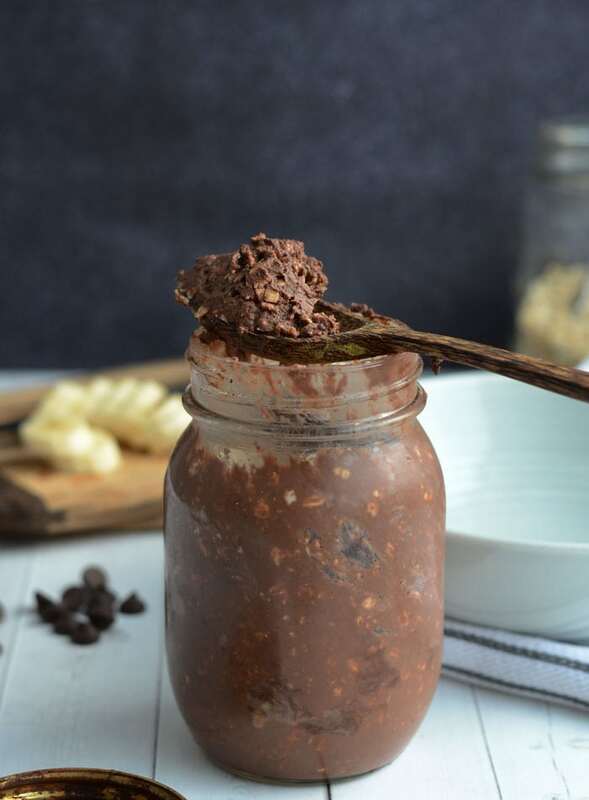 I like adding grated zucchini to my overnight oats for extra volume and since I love zucchini chocolate chip muffins, I’ll add a few tablespoons of raw cacao powder and cacao nibs along with them. I’ll often add protein powder to my overnight oats to get some extra protein in the morning and I like the texture it creates. 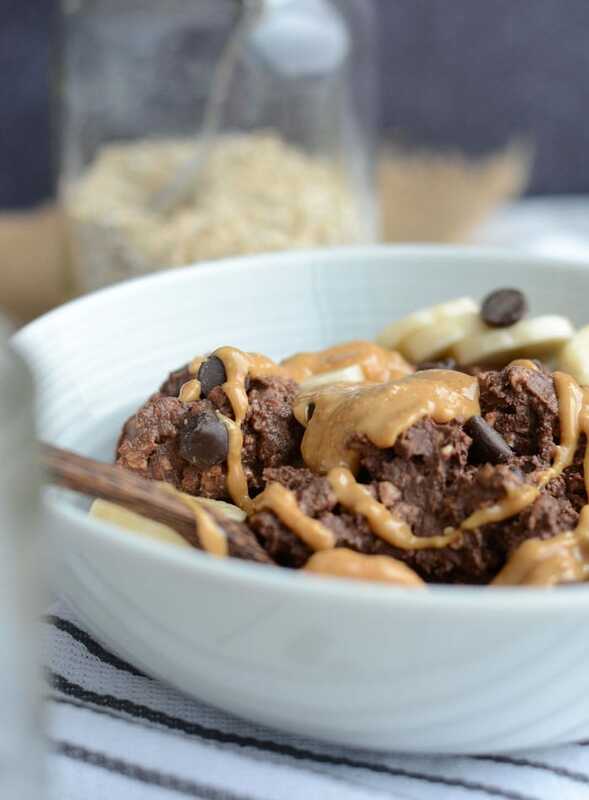 Pea protein-based proteins like Vega create a cookie-dough like texture that is perfect in these brownie batter oats too! Add plenty of cinnamon and a few tablespoons of raisins, yum! I like adding shredded coconut to this version too. Add regular peanut butter or powdered peanut butter plus frozen berries or a few tablespoons of chia seed jam. Add a grated carrot, raisins, cinnamon and a few walnuts. I like adding some shredded coconut and maybe some pineapple too. Another favourite! Add sliced mango, pineapple, banana and shredded coconut. Add sliced strawberries, a few tablespoons of coconut yogurt and a squeeze of fresh lemon juice. You can also make this with light coconut milk instead of almond milk for extra creaminess! This is really good with blueberries too for a take on blueberry lemon cheesecake. 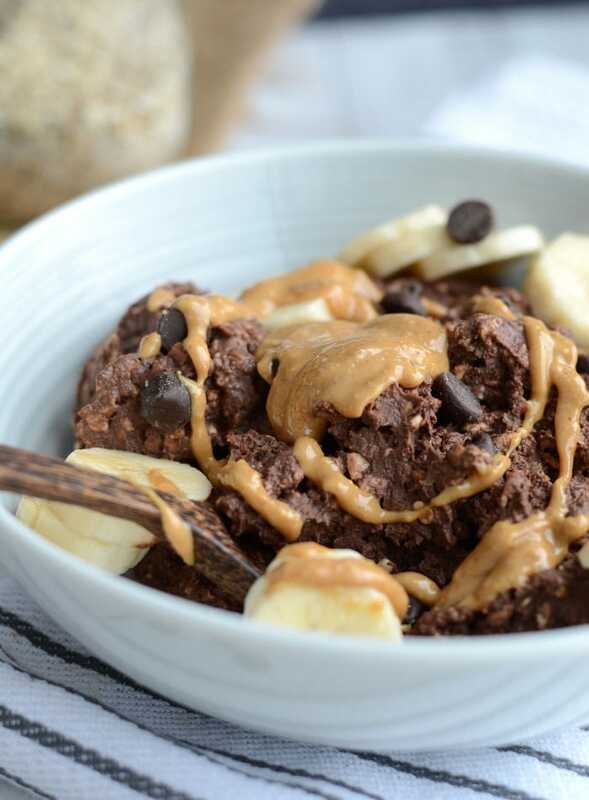 If you love gingerbread cookies, you will love gingerbread overnight oats! Sweeten them with molasses and add ground ginger, ground cinnamon and vanilla protein . I couldn’t make a list of overnight oat flavours and leave off pumpkin pie overnight oats! I eat these year round and never get sick of them. Simply add a few spoonfuls of pumpkin puree and pumpkin pie spice to the mixture. I like adding vanilla protein to this version, some vanilla coconut yogurt is awesome too! I hope that gives you a few ideas for creating delicious overnight oats at home. I could go on and on about flavour combos, there are endless varieties you could come up with! For the most basic overnight oats, all you need is oats and a liquid. From there add your favourite sweetener and then get creative with your add-ins. Some staples are cocoa powder, banana, peanut butter, nuts, seeds and fruits. These brownie batter overnight oats are chocolate-packed, high in protein and the perfect fuel on-the-go. The consistency is quite thick, somewhere between cookie dough and brownie batter. YUM! Cocoa Powder Or Cacao Powder? Raw cacao is made by cold-pressing unroasted cocoa beans whereas cocoa powder has been roasted at high-temperatures. 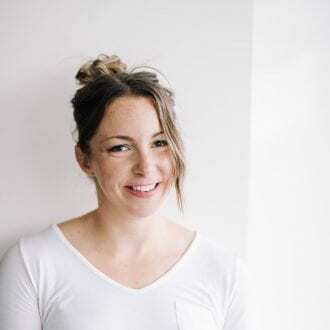 Unfortunately, roasting cacao at high-temperatures greatly lowers the nutritional value so to reap the amazing health benefits of chocolate, it’s cacao powder that that you’re after. When you read about how good chocolate is for you (and it is! ), we’re talking raw cacao, not your average store-bought milk chocolate bar. The typical grocery store chocolate bar has been so heavily processed that by time it reaches the shelf, it no longer offers any nutritional benefit. I use both cacao powder and cocoa powder in my kitchen buy I try to use cacao more often. High in antioxidants, cacao has been show to lower insulin resistance, protect your nervous system, lower blood pressure, reduce the risk of heart disease and stroke, fight free radicals, support a sense of well-being and provide important minerals like magnesium iron, calcium and zinc. It’s the obvious choice but it is more expensive. Use it in place of cocoa powder when you can but no worries, raw cacao powder and cocoa powder can be used interchangeably in recipes. This recipe comes out very thick with a doughy consistency. If you prefer more of a traditional oatmeal consistency, increase the almond milk to 1 cup. Like we talked about above, you can use either cocoa powder or antioxidant-rich raw cacao powder for creating the chocolate flavour. For sweetening, you can use either stevia or a drizzle of maple syrup for a bit of extra sweetness or just leave it out as the protein powder does sweeten it a bit. I add 1 packet of stevia or some liquid stevia drops to mine. I also like adding a bit of pure vanilla extract and pink sea salt to enhance the flavour. These ingredients are optional but I highly recommend them to really add that brownie batter flavour! The amounts in this recipe can be adjusted to your needs too. You can’t really go wrong so feel free to play around with it. Sometimes I use less oats to reduce the carbs, or I’ll add peanut or almond butter for added fats and flavour. Grated zucchini is good too for added volume and nutrition. You can also reduce the amount of almond milk a bit and add in pumpkin puree (go with Farmers Market Organic Pumpkin Puree – best. pumpkin ever.) or applesauce. Before you get started, check out this quick video of how to make them! They’re so quick and easy and just look at how thick and doughy they come out. Add all ingredients to a glass container or bowl and mix well with a spoon. Make sure everything is mixed in and there are no dry clumps. If you follow the recipe amounts exactly as listed, these come out very thick with a doughy, batter-like consistency. For best results, please follow the recipe and measure your ingredients using a kitchen scale. I’ve made these many times and if you follow the recipe exactly as written, they always come out thick. How much of the powered Peanut Butter do you add so you can taste it? What makes it brown ? So I use peanut butter , oats , banana , seeds , anything else ? The cocoa powder makes it brown. Use the ingredients listed in the recipe and you should be good to go!! Enjoy! Made this tonight for breakfast tomorrow. Was very easy to make. I’m using honey instead of stevia and used 2 tsp. Also used vegan chocolate shakeology as my protein powder add-in. Will add coconut flakes tomorrow morning and a few mini chocolate chips. Looks really good. 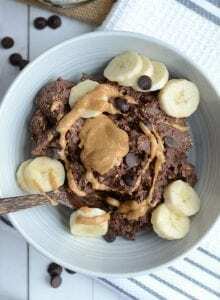 I’ve never made overnight oats but I decided to quickly give this a shot, ,can never go wrong with brownie batter in the description. all I can say is AMAZING! I question how this recipe could possibly be healthy. Highly recommend! Thank you!! Haha, I question how a lot of the food I eat is healthy! I’m glad you enjoyed them. Now that you’ve made overnight oats, you can get into all kinds of delicious varieties!! Thanks for your comment. Hi, thank you for your explanation with regard to cocoa powder versus cacao powder. I am not saying that I disagree in any way however my confusion is because I live in Canada and as a bi-lingual country (English & French) all of our products have the English & French on the labels. I know short story long I’m finally getting to my point, cocoa powder in french is spelled cacao powder. Crazy eh? So how will I know if I’m getting the really great cacao powder that the beans have been cold-pressed versus the hot temperature ? Anything you can do to provide enlightenment would be greatly appreciated! I guess if it’s a bi-lingual label and both French and English sides say cacao instead of cocoa and cacao, then you’re good to go! Cacao is more expensive than cocoa powder, so that should tell you you’re buying cacao right there! Cacao sometimes also says “raw cacao powder” or “raw cacao” and can be found in the health food section or natural food section rather than with baking products. Depending on where you shop, you may need to go to a specialty or natural food store to find cacao. I’m in Canada too! Had to heat mine in the microwave because it was literal soup in the morning. What the heck? Still tastes good but I guess I’ll need to adjust for eating on the go. That’s weird, it should be super thick! Mine comes over very, very thick and dough-like every time. Did you double check the amounts you used? 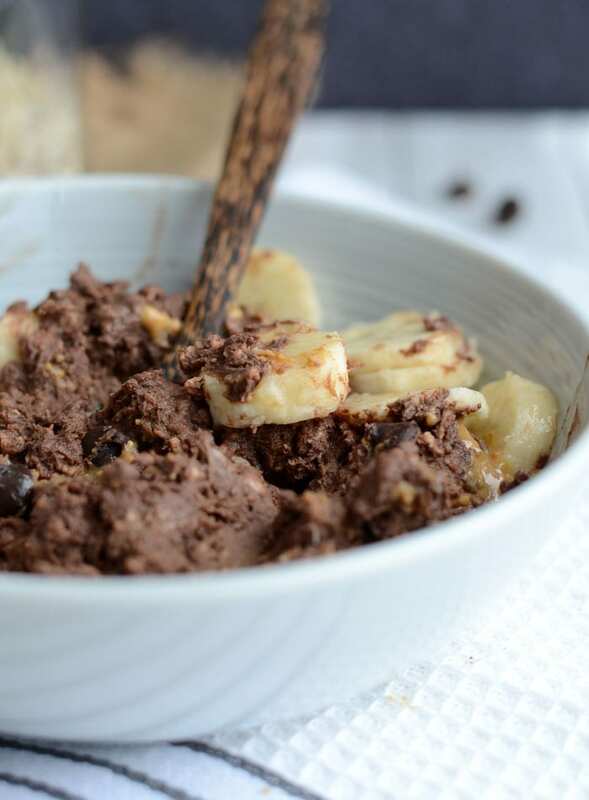 For the extra toppings like carrots / walnuts / bananas / pineapple, must it be added the night before or only just before you eat the oats in the morning? It’s up to you, there’s no right or wrong way really. I like to add everything the night before so I can grab it and go but if you prefer you can add the toppings in the morning. I kind of like them soaked in the liquid overnight so they’re a bit softer. For sure add the carrots the night before though. Proportions seem to be off. I followed the recipe exasctly and have soupy oats after they chilled overnight. The flavor also isn’t quite brownie – more cocoa powder. Decent base to start with but will tweak quite a bit at next try. If you followed the proportions in the recipe exactly, I’m not sure how they could be soupy!? Did you use the full serving of protein powder (44 g) as I’ve listed in the recipe? And the full 2 tbsp of cocoa powder and 1/3 cup oats? When I make these, they’re always very thick. Apologies if they didn’t work for you! I am also, unfortunately, getting soupy oats 🙁 They taste great, but I’d like them to be as thick as yours! I’ve tried Steel Cut oats and Old Fashioned Oats. What specific type and brand of oats did you use? I also realized that with my protein powder, 1 scoop = 30g, so I will need to adjust that to match the 44g you used. Hi Emily, Thanks for your feedback. I usually use quick oats or old fashioned oats and get the same resutl with both. Sorry they were “soupy” for you! I’ve adjusted the recipe and reduced the liquid to 3/4 cup. Definitely increase the protein powder a bit and they should come out perfect! I’d love to hear if you try them again and they worked better for you. Hi Deryn! I tried it again with those modifications and they still came out soupy :/ I like eating them cold, but maybe microwaving them will help? It seems like the oats aren’t absorbing the liquid. I used Old Fashioned oats again. I made them again today with 3/4 cup almond milk and they were super thick. I’m not sure what’s going on for you. Microwaving might thicken them up but I’m not sure because I always eat them cold too. Are you mixing it really well and letting it sit overnight? wow! These are thick. I would highly recommend using chocolate protein powder. I used vanilla and am craving a more chocolatey taste. Curious if your calorie count includes the toppings you show in the picture or not? No, those are not included in the nutrition information I’ve provided. Thanks! I made this yesterday for today and it was so yummy. I didn’t add any sugar what so ever because my diet needs to be sugar free for a short while, but that does’t stop me getting creative in the kitchen. I used 5T of pear puree….. I put toasted coconut, walnuts, cacao nibs and strawberries on top. It’s a big serve for one, but I did eat most of it he he he . Gave a little to my husband to take to work. Sounds amazing with those add-ins! Thanks for sharing 🙂 So happy you enjoyed. If I not have protein powder what else could I use? Reduce the amount of liquid and use a bit more cocoa powder. It won’t have quite the same doughy texture but it will still be chocolaty! So I made this last night so that it would be ready this morning and they have not thickened at all. The only thing i did differently is I used a different protein powder because that is what I had on hand and i used a little less salt. Was it because I used less salt or? No, the salt doesn’t effect the thickness, it’s just for flavour. It could be how fine your protein powder is, what kind did you use..plant-based or whey? Did you measure the ingredients? If everything is measured correctly, they come out very thick…I’ve made them dozens of times so I’m not sure what went wrong for you. Hope they’re better next time! My new favorite breakfast!! Came out absolutely perfect!! I used vanilla soy milk and it was delicious! It tasted like chocolate cookie dough. I modified a little bit to use things I had on hand and seriously my mind was blown this morning when I ate them. So amazing. Thanks for the recipe! Game changer! I’m so thankful to have found this recipe! I’ve adapted it slightly but the taste, texture and yumminess are all exquisite! Thank you so much for sharing! This was my first time trying overnight oats—so good! I used a kitchen scale to be sure the consistency was right and it came out perfect! It’s like dessert for breakfast. 🙂 Thank you! Wonderful! So happy you liked them! Now you can venture into all the overnight oats goodness, you should try my carrot cake oats! I love the flavor of the recipe! So delicious. However, my oats are not coming out nearly as thick as yours in the pictures or videos. I even decreased the amount of almond milk to 1/2 c. I am using Quaker old fashioned oats, varying from the brand you recommended. Could this be the problem? Hmmm, I don’t think it would make that much of difference if you used a different brand of oats. You’re stirring it up very thoroughly and leaving it overnight? Did you weigh the ingredients? Sorry it didn’t come out as thick! This looks ridiculously delicious. And I love all the other combinations you included! ???? 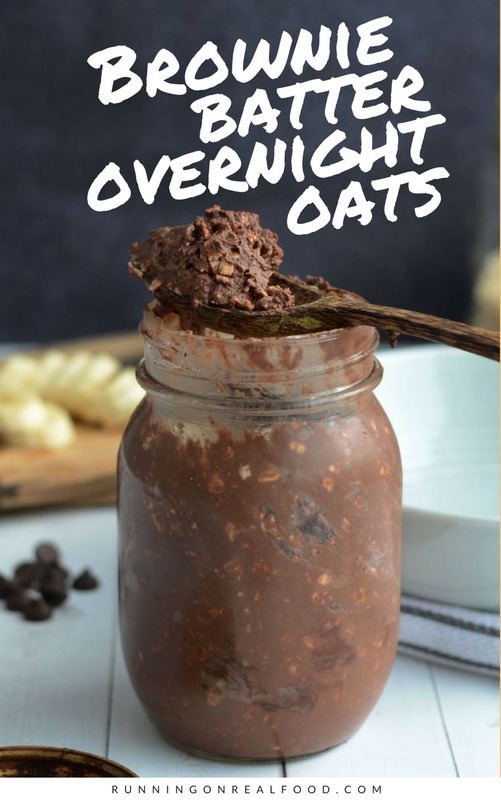 I usually don’t have time for breakfast so I was really excited when I found this recipe for overnight oats. I’ll make three at the beginning of the week so I can just have something to grab when I’m in a hurry. The quality of the photos you used are incredible! Yes, any plant-based milk will work. I wouldn’t recommend canned coconut milk but carton would be ok. Even water works! how Do these taste heated up? How long should they be heated up in the microwave? Can I use regular skim milk? I’ve never had them heated to be honest but I’m sure they’d taste fine. You may need to add a bit of extra milk or water so they don’t dry out. I’ve never tried them with skim milk though since I don’t eat dairy. If you’re using the microwave, I would probably test them every 40 seconds or so. Hope you enjoy! This recipe is amazing! Even my teenage boys love them! Thank you so much! I make up 6 jars every Sunday night and by Wednesday I have to make more. Soooooooo delish. Aww, that is so awesome!! So glad you guys are liking them! 🙂 Thanks for your comment. I used whey-based protein and not plant based so should I adjust the amount? If so, how much? Hi Amanda, I’ve never made this with whey protein so I can’t say exactly. I’d recommend reading through the comments to see what other readers have used. I’m not sure how whey reacts with liquids since I’ve never used it in a recipe! So I may have figured out the problem some people are having. So I made this last night and weighted everything out in grams like you said. It was already pretty thick at that time, so I thought it would thicken more overnight, but it only did a bit. I would not call it “soupy” by any means, but it’s def not like your pictures show. I did not use vega protein because I have a different brand, but I have used vega in the past and it is a very dense protein. I remember when I used to use it that if I didn’t put in enough liquid it would feel like I was drinking melted ice cream because of how thick the protein made my water/milk. So I think that is the answer. I think yours comes out so thick because of the specific protein you are using. Even though we are putting in the same amount by weight, the vega protein is just a lot thicker when mixed with a liquid than any other protein I have ever tried. Anyway, those are my thoughts and hopefully that helps other people. I still loved this, even though my was a bit thinner. I would definitely make this again. I think I will just add less milk or maybe more oats. I don’t want it to be too chocolaty by adding even more protein to it. And to be honest, I have been craving this ever since I made it last night, so instead of it being my afternoon lunch/snack I had it for breakfast because I just couldn’t wait. It did not disappoint. Thanks! Thank you so much for that feedback! That will be very helpful for other readers. I’m glad you enjoyed the recipe!! So when you use Whey or Egg white protein, this comes out like soup. What can you adjust to make it like batter? I’m sure too sure since I’ve never used whey or egg protein in this recipe, or any overnight oats recipe. I would guess you just need less liquid or add extra cocoa powder though, or maybe a bit of coconut or almond flour to absorb some of the liquid. Thanks!